Lana Condor writes love letters IRL when she needs to express her emotions. 1. 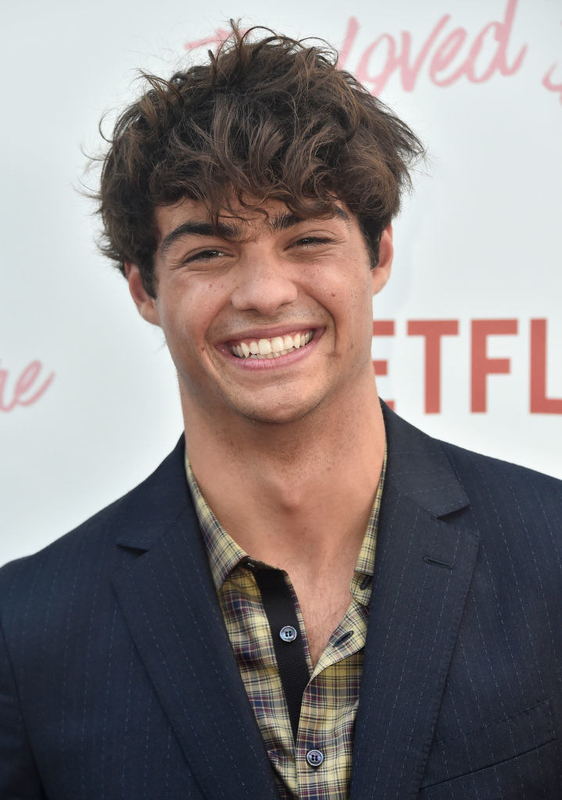 First, Noah Centineo improvised two iconic scenes from To All the Boys I've Loved Before: saving the popcorn before the pillow fight and spinning Lara Jean in the cafeteria. 2. 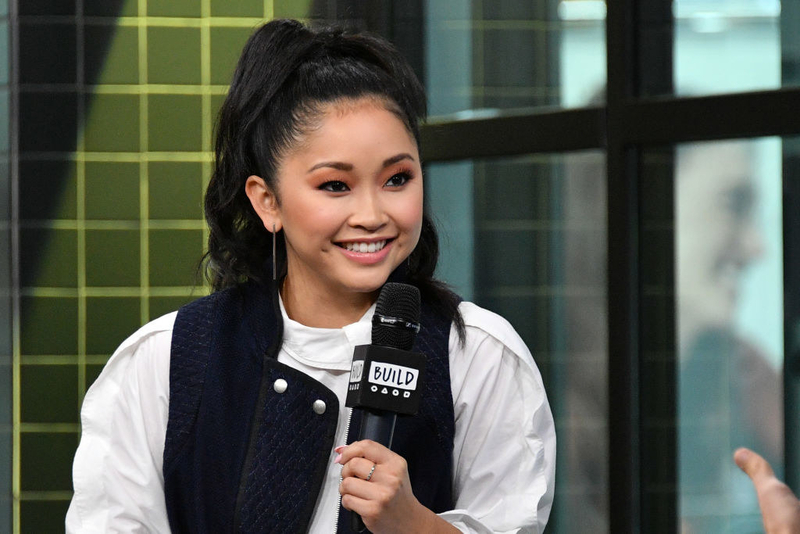 Lana Condor was born in Vietnam and was adopted by an Irish and Hungarian couple — her dad, Bob Condor, even chronicled their adoption story for the Chicago Tribune. Lana told Teen Vogue that her own upbringing helped her connect with her character of Lara Jean. She said, "So, in a way I grew up in a mixed household, because my brother and I are Asian, and our parents are white." 3. After reading the books, Lana was totally Team Peter — just like the rest of us. In an interview with Vulture, Lana said "I think in a romantic partner, you want someone that pushes you out of your comfort zone, to break down your walls, and challenge you a little. And I think Peter challenges Lara Jean in a way Josh does not." 4. Noah and Lana originally met during the pre-read process for the film. In an interview with The Cut, Condor said that Noah asked if she wanted to run lines together and she politely declined. 5. Lara Jean is actually the first time Lana portrayed a typical teenager on screen. Her previous major acting credit was X-Men: Apocalypse. In an interview with The Cut, Lana said it was nice to play a normal teenage girl. She said, "As an actor, if you’re in an action movie, you can hide behind the hair, makeup, and production. When you’re playing a normal girl, it’s you. You’re a lot more exposed." 6. Janel Parrish continues to act like Lana's older sister/mentor — she's even given Lana advice for how to deal with fame. In an interview with People, Lana said that Janel gave her the advice to not read her comments on social media. Lana said, "If there's one iffy comment, it ruins the whole process." 7. Lana writes love letters IRL when she needs to express her emotions. In an interview with Vulture, Lana said, "I have a hard time expressing myself when I’m emotional, so my family has done this forever. We write each other letters if we’re fighting or whatever." 8. Noah and Lana helped craft the scene where Lara Jean pulls Peter down for a kiss on the track. Noah told Build Series that in the books Lara Jean jumps into Peter's arms, but it didn't translate well on screen. So, they put shooting on hold for an hour while Lana, Noah, and production figured out how to bring this pivotal scene to life. 9. Noah actually auditioned for a role in The Kissing Booth. Noah told BuzzFeed, "I auditioned for the leading role in The Kissing Booth that came out on Netflix, funny enough. I've auditioned for practically everything that's come out — a lot of actors have." 10. Janel said that one of the reasons she loved working on To All the Boys was the opportunity to create a movie that she wishes was around when she was younger. In an interview with The Mary Sue, Janel said, "I kind of wish I had a film like that growing up to watch and realize, 'Oh, I identify with this character and she motivates me to feel totally comfortable in my own skin.'" 11. Lana is an accomplished dancer who trained at the Joffrey School of Ballet. 12. Out of any movie, Noah wishes that he could've played the adult version of Matt (Mark Ruffalo) in 13 Going on 30. Noah told BuzzFeed that 13 Going on 30 is one of his favorite rom-com's and he believes that Mark Ruffalo is his celebrity doppelgänger. 13. Unlike Peter, Noah said that he wasn't very cool in high school. In an interview with Vulture, Noah said, "I was like this tiny little kid that was goofy and would always crack jokes or sit in the back of class and not listen to anything that the teacher was saying." 14. Lana and Anna Cathcart have seen all the memes and jokes about To All the Boys and they send them to each other. Anna told BuzzFeed News, "Me and Lana [Candor] will send them back and forth to each other and be like, 'Have you seen this one? Have you seen that one?'" 15. At just 6 years old, Janel starred as young Cosette in a national tour of Les Misérables. 16. Speaking of Janel, although people know her best as Mona from Pretty Little Liars, she originally auditioned for Spencer. Janel told Just Jared Jr., "I'm super happy about that [getting cast as Mona], though...I fell in love with playing Mona." 17. To prepare for the hot tub scene in To All the Boys, Noah and Lana actually spent time in the hot tubs at their apartments in order to build their chemistry on screen. Lana told People, "We went to the hot tub all the time in our apartments and stuff. The transition was super easy to bring to the camera. I’m so blessed to have worked with him — he’s an awesome guy." 18. Noah was a big reader growing up and two of his favorite book series are Harry Potter and A Series of Unfortunate Events. In an interview with Build Series, Noah said that he understood fans of the To All the Boy's I've Loved Before books who wanted this movie to be a great adaptation. 19. Lana said that her first experience of heartbreak was actually watching Troy and Gabriella break-up in High School Musical 2. Lana told MTVNews that she cried when watching HSM2 for the first time and she didn't know what the feeling was. 20. Noah says that his time on The Fosters basically felt like college for him. He told Build Series that his time on The Fosters helped him learn how to forge a family with others. He also learned so much as an actor. 21. And finally, Lana said that one of her goals as an actor was to play "the girl next door" and this movie finally allowed her to do so. Lana told Build Series, "it's refreshing because Lara Jean is that girl."